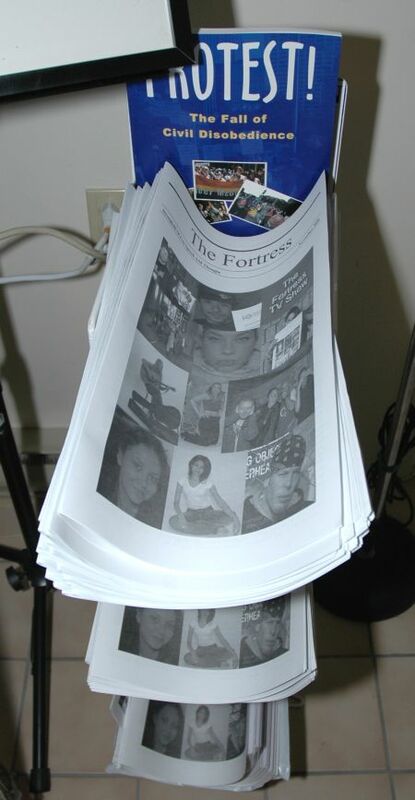 Fortress Of Freedom Board :: View topic - Another Fortress Newspaper Is Hot Off The Press! Another Fortress Newspaper Is Hot Off The Press! 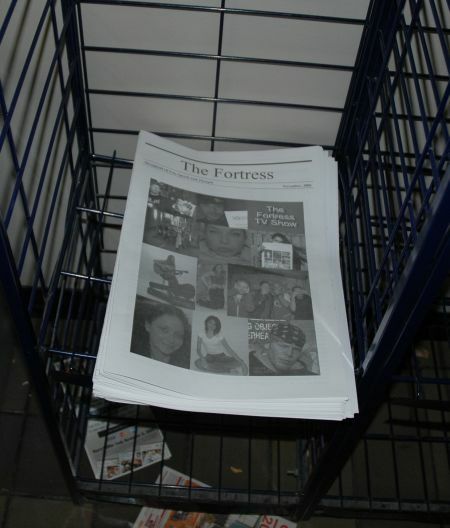 Posted: Mon Oct 30, 2006 12:21 am Post subject: Another Fortress Newspaper Is Hot Off The Press! 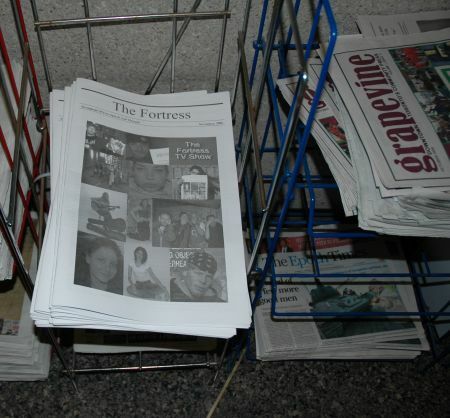 The Fortress Newspaper At Fortress Of Freedom's Office! Well another version of The Fortress hits the pavement; back again after some time with the kids at Humber College. This version is a lighter "entertainment" edition for the launch of our record album and such as we enter the holiday season. The Fortress at Ryerson University! The Fortress at the University Of Toronto! Make no mistake though; we are coming back swinging with the gritty, edgy and provocative news making that was the first inspiration for the paper. With the TV and record production set up we can once again concentrate on news reporting and our advocacy group for journalists. We are Back! 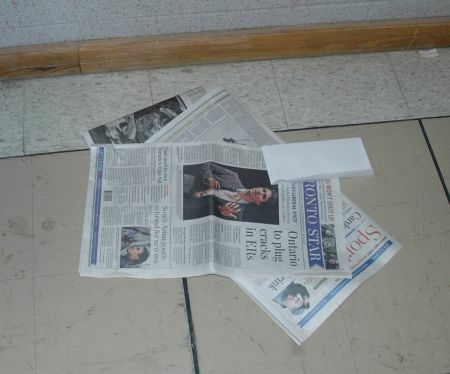 Look what I found down the hall from our paper!